"I wanted a 90cm range that was practical so after an embarrassing trip to a high street retailer armed with two of my baking trays, I decided upon the Belling. The right-hand oven on the other range brands simply wasn't wide enough. 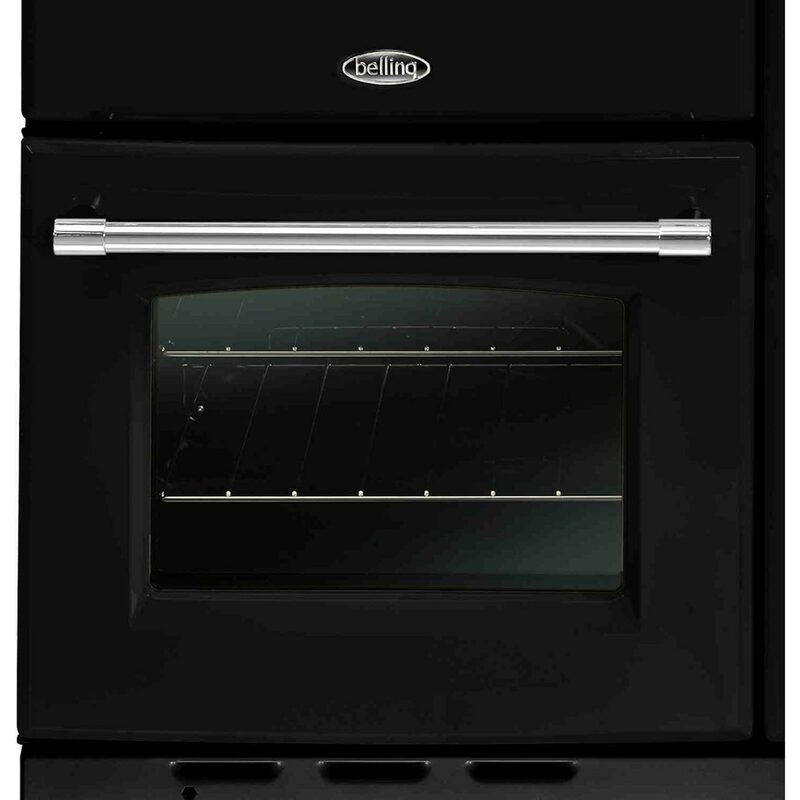 With the Belling, the bottom left fan oven is the same size as a standard oven, fitting a large 38 X 25cm tray easily. The right hand fan oven shelves fit a tray up to 32cm wide, 34cm deep. There are three shelves in the right hand oven but you can buy extra ones from Belling (two more would fit easily). 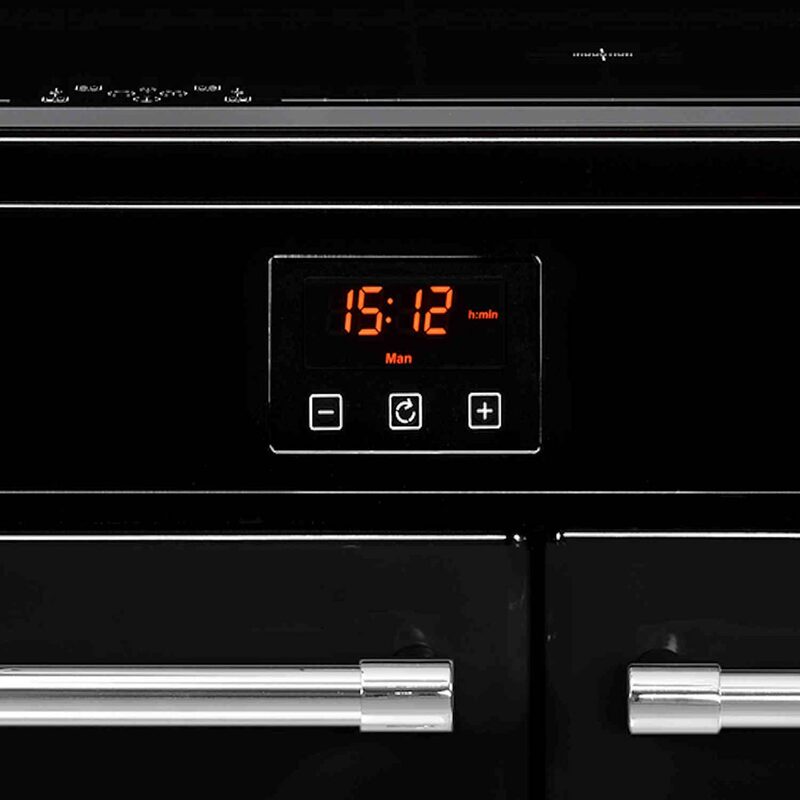 There is one shelf in the top oven/grill and two in the bottom left oven. The shelf from the grill also fits the bottom oven, so you could have three shelves in the bottom one if you wanted. Very versatile. We chose the Belling Farmhouse model because the handles fitted in best with our new kitchen handles. I actually viewed a different 90cm Belling model on the high street but inside, they are exactly the same. Very pleased with the oven layout and practicality - just need to finish the kitchen installation now so that we can use it!" "Firstly the delivery by ao was fantastic, really careful and nice guys. The oven comes with quite a basic manual so you do have to find if figure it out, but there aren’t too many button to get it wrong. Oven heats up quickly and cooks evenly. Induction hob took a while to get used to but heats up so quickly and the hot plate is great for keeping food warm, and it’s so easy to clean! 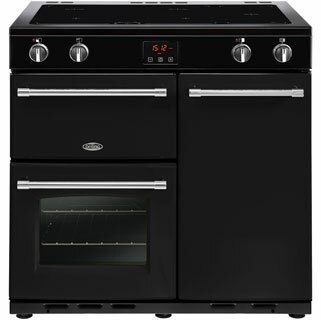 So far so good, would recommend "
"Cooker looks great, totally sets of the kitchen. Didn’t come with instructions but mostly intuitive, although haven’t worked out how to use the grill. Induction job will take a bit of getting used to. 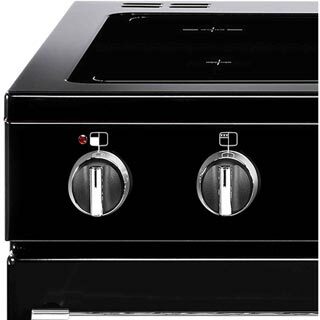 I had to buy new trays as each cooker area is smaller"
"The induction hob is far more controllable than our gas cooker and faster. Can reliably leave things to simmer without burning. The two fan ovens are roomy and really quiet. Very pleased with build quality. The opening and shutting of the doors in particular is very good. 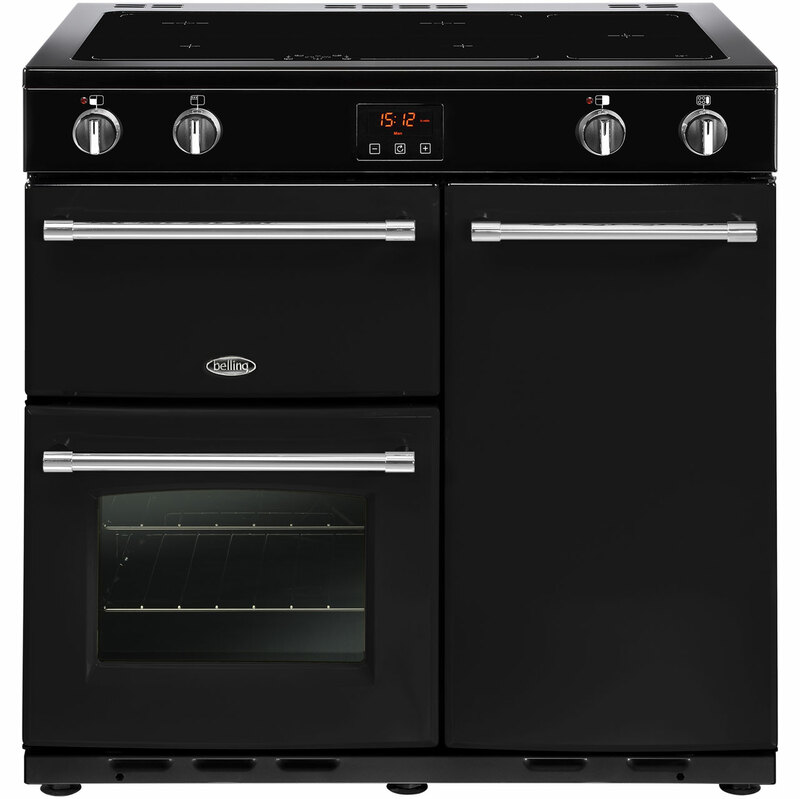 "This cooker looks amazing in my kitchen just the right size. I really wanted a range but didn’t have room for the full size range. I hadn’t used an induction hob previously but it didn’t take long to get used to the controls. I am impressed with the size of both ovens and temperature controls are easy to use. I am a very satisfied customer. " "Easy to install. Simple to use and looks great in our new kitchen. "